After Amazon's Kindle and Sony's Reader, the latest entry to the electronic book market is surprising in that it isn't actually new – in fact, it's the Nintendo DS. Boxing Day will see the release of a £20 DS cartridge called 100 Classic Book Collection, which contains – you guessed it – 100 classic books. 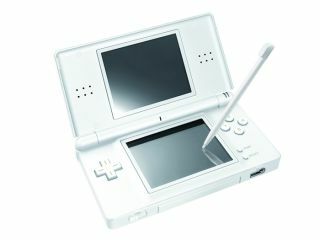 Working with publisher HarperCollins and developer Genius Sonority, Nintendo has developed an interface that allows readers to turn the electronic pages by brushing a finger or the stylus from right to left on the touchscreen while holding the DS vertically like a real book. The titles in the first release include Treasure Island, A Tale of Two Cities and Pride and Prejudice, while more offerings are due to be made available to download. However, the tools appear to be limited to simple bookmarking and a story search by category or length. Dedicated e-books typically have many more powerful features, such as the ability to make annotations. The £100 price of the DS is clearly competitive compared to the £199 Sony Reader, but Nintendo will need to offer more than Shakespeare and Jane Austen if it's to make much of an impact.